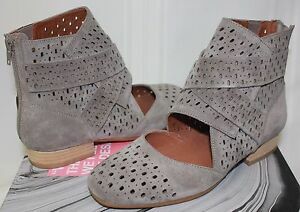 Jeffrey Campbell Almayo laser cut taupe suede zip up booties NEW! Sorel Women's Out N About Leather Black Boots New With Box! Jeffrey Campbell Almayo laser cut black suede zip up booties NEW! Jeffrey Campbell Saget Split Shaft cut out booties Taupe Suede NEW! design_direction has no other items for sale. Details about Jeffrey Campbell Almayo laser cut taupe suede zip up booties NEW!